Welcome to our page celebrating the International Bluegrass Month of May for 2015. Music Charts Magazine® is proud to share some of Bluegrass’s finest radio DJ’s and the shows that they host on various radio stations. Below you will find radio shows in which you may or may not have heard before. It’s always nice to hear a show that you haven’t heard as you can listen to all these shows weekly on the internet. Enjoy these shows with Judith Burnette, Big Al Weekley, Tim White and Charlie Hall. Let the Bluegrass roll on. Bluegrass music is a form of American roots music, and a subgenre of country music. Bluegrass was inspired by the music of Appalachia. It has mixed roots in Irish, Scottish, Welsh, and English traditional music, and also later influenced by the music of African-Americans through incorporation of jazz elements. Settlers from the United Kingdom and Ireland arrived in Appalachia during the 18th century, and brought with them the musical traditions of their homelands. These traditions consisted primarily of English and Scottish ballads—which were essentially unaccompanied narrative—and dance music, such as Irish reels, which were accompanied by a fiddle. Many older bluegrass songs come directly from the British Isles. Several Appalachian bluegrass ballads, such as “Pretty Saro”, “Barbara Allen”, “Cuckoo Bird” and “House Carpenter”, come from England and preserve the English ballad tradition both melodically and lyrically. Others, such as The Twa Sisters, also come from England; however, the lyrics are about Ireland. Some bluegrass fiddle songs popular in Appalachia, such as “Leather Britches”, and “Pretty Polly”, have Scottish roots. The dance tune Cumberland Gap may be derived from the tune that accompanies the Scottish ballad Bonnie George Campbell. Other songs have different names in different places; for instance in England there is an old ballad known as “A Brisk Young Sailor Courted Me”, but exactly the same song in North American bluegrass is known as “I Wish My Baby Was Born”. 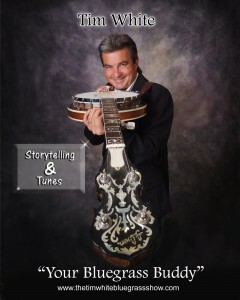 Music Charts Magazine® welcomes Kentucky’s WCYO The Coyote’s Charlie Hall and “Bluegrass Express” in joining us to celebrate International Bluegrass month of May 2015. Charlie Hall has all of your bluegrass music favorites! From Bill Monroe to The Seldom Scene and all others in between, you can bet Charlie will play it. Music Charts Magazine® welcomes Big Al Weekley and “The Big Al Bluegrass Show” for joining us for the 3rd year in a row celebrating International Bluegrass month of May 2015. Also played weekly on WOTR FM Weston, West Virginia 96.3 FM & the Midwest torch in the skies KRVN 880 AM. Al Weekley (“Big Al”) was born in Ravenswood, West Virginia, right next to the Ohio River. 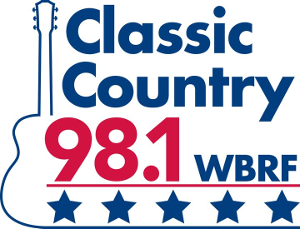 Big Al first realized he wanted to be a part of the radio industry in 1987 when the Bluegrass band he was playing with was invited to play a live show at Ohio University’s radio station, WOUB FM. After the show, Big Al Weekley was watching a disk jockey spin records and spotted the DJ’s manager standing nearby. Big Al mentioned to the manager that being a DJ “looks like fun.” The manager told Al, “it is,” to which Al responded “I’d like to try that someday.” The disk jockey’s manager asked if Al had any experience in radio. Al thought for a second and said, “Yes I do, I just sang and talked for an hour on this show.” Laughing, the manager told Big Al to be back at the radio station the next Sunday. Al worked at WOUB FM for four years. And that is how Big Al Weekley started in radio. Shortly after beginning his first career in radio at Ohio University, Al had the opportunity to also have his show “The Big Al Bluegrass Show” aired on his hometown radio station, WMOV 1360 AM. Over the years, Big Al Weekley gained experience through a variety of positions in radio (including the role of music director at WMOV). 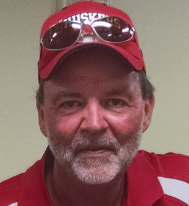 In 1999, Big Al landed a job at Lexington, Nebraska’s 50,000 watt radio station KRVN 880 AM. Located in the heart of the American agriculture scene, KRVN broadcasts over 16 states. Weekley would go on to host “The Big Al Bluegrass Show” for fifteen years. “The Big Al Bluegrass Show” has also been broadcast on West Virginia’s WOTR 96.3 FM since 2012. Big Al Weekley started working with Music Charts Magazine® two years ago and has since interviewed legendary musicians from various genres of music with an emphasis on Country and Bluegrass music. Big Al has spoken with names such as Joanne Cash/Yates (the sister of Johnny Cash), Lynn Anderson, Razzy Bailey, Styx, Mac Wiseman, Bobby Osborne, The Kentucky Headhunters, Herald Bradley, Tiffany, Jack Blanchard & Misty Morgan, Rhonda Vincent and more. Throughout the years Big Al Weekley has recorded with Dave Dudley, Leroy Van Dyke, as well as a variety of Bluegrass stars and has recently had a song recorded by Bluegrass legend Larry Sparks. 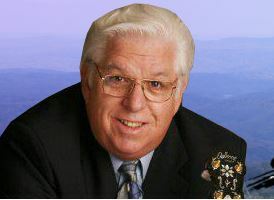 Big Al has been the master of ceremonies for many Country and Bluegrass festivals. He has been very involved with various charities, community and non-profit organizations to help raise money for those in need. Fifteen years after starting work at KRVN, Big Al Weekley made a big move. He left KRVN radio’s 50,000 watt torch in the western skies to move to Grundy, Virginia with aspirations of turning WMJD 100.7 FM into the “biggest little station in the nation.” Big Al packed his belongings into his Ford F-150 pickup truck and a U-Haul and arrived in the great State of Virginia to carry out his mission. Eight months later Big Al has done just that. WMJD prior to Big Al had very little internet/online presence. Big Al immediately upon arrival went to work in several directions to improve the stations local and regional listenership. He had the website reconstructed to meet the needs of the current and future along with all social network platforms. Big Al brought a team of internet gurus into the mix to give WMJD a new facelift. Upon arrival the station the online listenership doubled. In the first quarter the FM and online audience both had over doubled and they over doubled again in the second quarter. Big Al is not only the morning drive DJ Monday through Friday mornings but also has been promoted to Program Director of WMJD 100.7 FM & 99.3 FM where he has injected Bluegrass music into his morning drive show on what was before an only country music show. 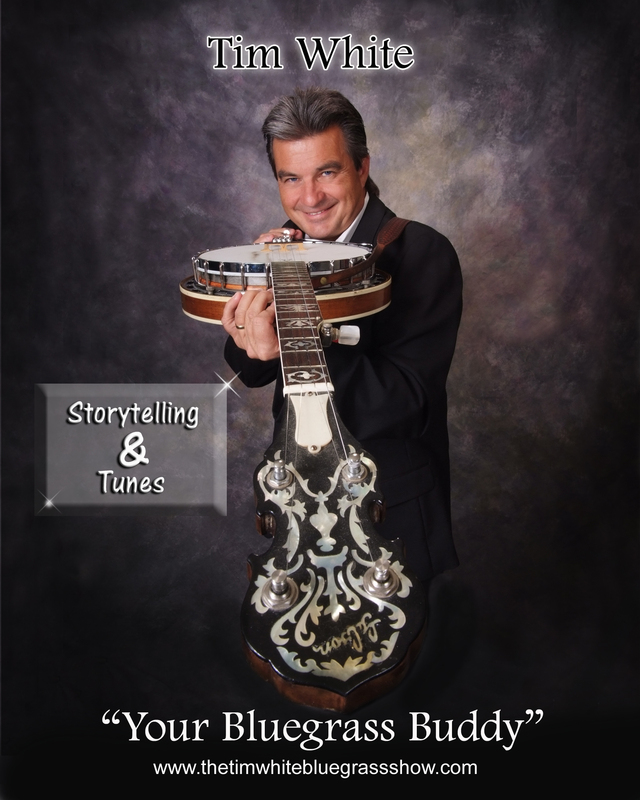 Big Al understands the close relationship between Bluegrass and Country music and shares that history with his friends in the Appalachian mountains and online across the world. Big Al has developed a large European following on top of his American and Canadian following since joining the WMJD team. Big Al is the first recipient of the Old Time Country and Bluegrass Music Preservation Award which was given to him by the Miles of Memories Country MusicFest in September 2013. Big Al Weekley was also inducted into the Nebraska Country Music Hall of Fame in 2013 and has been nominated as one of the IBMA Top 5 Bluegrass broadcasters twice in 2003 and 2014. Big Al Weekley stays true to preserving the history of Bluegrass, Gospel and Country music and enjoys sharing the love of music to all that listen. Music Charts Magazine® welcomes Judith Burnette and “Blue Ridge Backroads” for joining us for the 2nd year in a row celebrating International Bluegrass month of May 2015. Judith Burnette is a native of Galax, VA. She also works in retail sales full time but enjoys spending her spare time working in the field she’s most passionate about, Bluegrass music. Judith had been a part-time DJ with Blue Ridge Country 98 for more than a decade before becoming the host of the Blue Ridge Backroads Show every Tuesday through Saturday evening from 6 to Midnight. She has also met and interviewed many of the artists whose music she shares with her radio audience each time she is on the air. Judith has a vast knowledge of Bluegrass music, it’s history, and it’s current state as well. Judith likes photography and has had the opportunity to photograph various bluegrass artists over the years. Judith has a great love for animals, particularly loves riding horses, playing with dogs, and often, rescuing cats. In fact, she has never met a cat she couldn’t befriend or tame! Music Charts Magazine® welcomes Tim White and “The Tim White Bluegrass Show” for joining us this year in celebrating International Bluegrass month of May 2015. Tim White, Executive Coordinator of Song of the Mountains, is a well-known musician, recording artist, radio air personality, concert event promoter and music preservationist. He is native of Central Appalachia and a resident of Blountville, Tennessee. Tim White was instrumental in the founding of the Appalachian Cultural Music Association (ACMA) a non-profit organization promoting the music and lifestyle of the southern Appalachian region. The ACMA operates the Mountain Music Museum and the Pickin’ Porch stage 626 State Street in Bristol, TN-VA which showcases the music and performers of our region. In 1986 he painted the now famous 30 x 100 foot mural on State Street in Bristol, VA-TN paying tribute to the Bristol Sessions of 1927. The mural pictures the main players of these historic sessions including Jimmie Rodgers, the Carter Family and Ernest and Hattie Stoneman. Tim also founded the Birthplace of Country Music Alliance in Bristol, TN-VA in 1994 which is now the BCM (Birthplace of Country Music) which is on the Virginia side of the city. The BCM now operates a 12.5 million dollar cultural center and museum paying tribute to the music of the Southern Appalachians. In 2003, he helped take the music of the Birthplace of Country Music region to the Smithsonian Folklife Festival in Washington D.C. where his band, the VW Boys performed along with other artists from this region. Tim and his band have also performed at the Kennedy Center. In 2008 Tim performed on the Grand Ole Opry at both the Ryman Auditorium and the Grand Ole Opry House in Nashville, TN with Virginia’s native son, Jesse McReynolds and the Virginia Boys. Mr. White has organized and promoted scores of music concerts, festivals and events. He chaired the 75th Anniversary Celebration of the famed “Bristol Sessions” and ten related concerts a 14-day period throughout the region. Tim also hosts the award winning concert series “Song of the Mountains” which is aired across America on over 190 PBS outlets with a potential reach of 147 million viewers each year. Recently he completed an 80 ft. mural in downtown Marion, Virginia depicting the musical heritage of the town and Smyth County, Virginia. Mr. White’s relationships in the music and recording industry, his knowledge of bluegrass and old-time music, and his proven track record in event management and promotion are invaluable to our region. He takes this a step further as a visual artist and muralist. When not performing on stage Tim paints on canvas.